Steven Brown: Planners unanimously gave consent for a new community building at a Hindu temple. 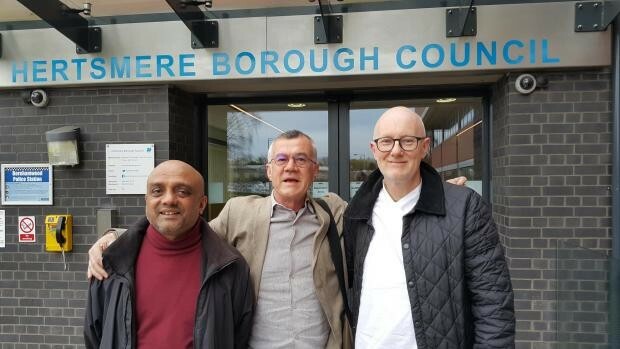 The Hertsmere Borough Council’s planning committee officially granted planning permission for a new development on the grounds of Bhaktivedanta Manor, in Aldenham on Thursday. The application is to build a two storey community building or a Haveli, as well as relocating the existing poly tunnels, greenhouses and playground. Gauri das, managing director at the temple, said: “We are exceptionally pleased to receive planning permission to build our community facility at Bhaktivedanta Manor. “Over many years of work including the development of a planning brief, a public consultation, and one and a half years awaiting a determination, we listened carefully and patiently to local residents concerns. The originally planning application was submitted in December 2014 and over the past 16 months a number of revised changes have been made to the application. Cllr David Lambert, who represents Aldenham West, was originally opposed to the application following numerous complaints from the residents of Letchmore Heath. However, during the planning meeting the officer Karen Humphries said the application has been accepted by the residents of Letchmore Heath. Cllr Lambert said: “I am really pleased we have reached this point. “It would not have been successful without the work gone in by the officers. It has been a long time coming. Other councillors agreed with Cllr Lambert including Cllr Seamus Quilty who asked the Manor to provide a master plan for the whole site and what they want to do in the future. Temple president Sruti Dharma Das said: “Thank you to our local councillors and Hertsmere Planners, who worked hard to balance the needs of the temple and the local community. The application received an unanimous decision to allow the application to go through.